It have been 4 years now when we first revived the Failed 17 million Ringgit Bario micro hydro project that was abandoned for more than a dacade when it met its premature demise in 1997. In 2007 the community of Bario Asal and Arul Layun came together and decided to do something and they did it. With our technical support and grants from UNDP SGP, Seacology Foundation and much later Sarawak Development Office, this abandoned micro hydro system came back into life in 2009. 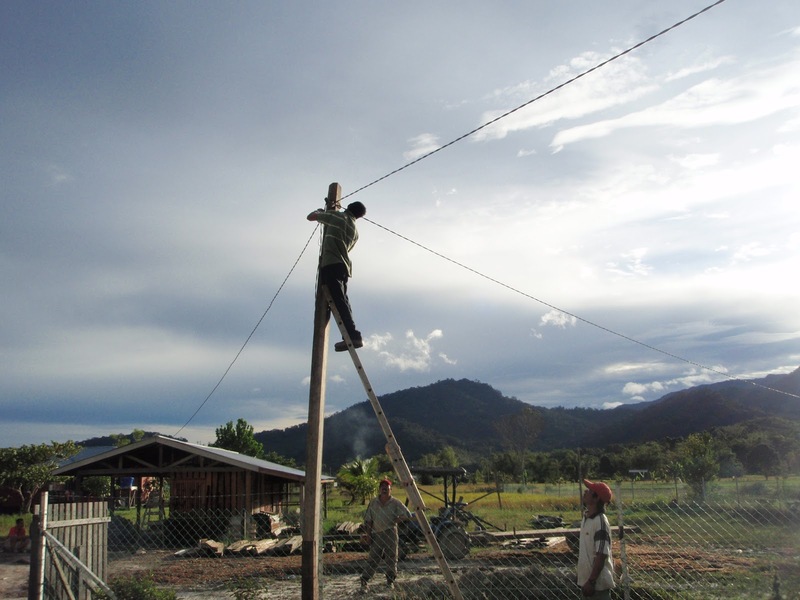 The system have been providing electricity 24/7 to Bario Asal and Arul Layun long house ever since with minor disruption during dry season. 3) Trust the local knowledge - we used buffaloes to transport most of the equipment to the Dam. who said we need to build 5 star roads?? For me i owed and learned a lot from the Kelabit community of Bario Asal and Arul Layun. i have seen pure determination and innovativeness of the community to overcome challenges that encountered in their lives. 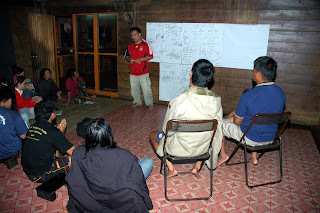 This lessons that I learnt have been used in many other Micro Hydro project after Bario. I just hope our government learn for thier mistakes and not repeating the costly mistake they made in 1997 and learn from Bario Asal- Arul Layun how to do community driven project. Re-enginnering the distribution system. we did not use the high voltage transformers because of maintenance issues. 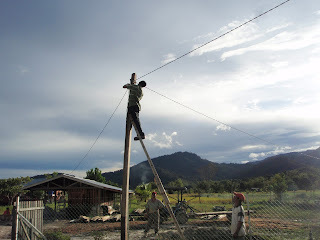 high voltage is very dangerous and needs full time special trained technician to handle which we don't have in Bario. we also integrate a hammer mill that can be connected directly to the turbine. this mill can produce high quality Bario Rice Flour to make my favorite Bario bread..yummy! 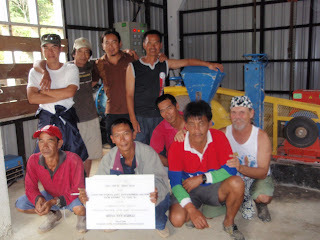 I am posing with my Team from Sabah, Toumin Sipail from Kg Terian (left) one of my first kampung engineer Kg Terian operating thier Micro Hydro since 2005 and Vyner Biujin (centre) a young Mechanical Engineer from Penampang. My favorite moments.. Jugah dancing to the music after we first turned the system on. I tribute this project to the my adopted Father, the late Ketua Kampung Balang Radu. he is our driving force behind this project. His first words to me when we started this project "i want to see the lights on before i die..". iam glad that his wish came true. he passed on few months after we commisioned the micro hydro system. Tama, may you rest in peace. Well done! I just love seeing the people in the interior enjoying electricity because others do their parts to help. Well done team! Thanks for sharing this inspiring efforts. How I wish I can fulfill my late father's wish to see lights in Imahit 20years back..
Kg.Babalitan Community Micro Hydro Launched!